Sleetskean Chillmist and Sleetskean Crystalmist are two bosses in the Warden Armour quest line in Stonevale. This guide will give you all the info on this boss. 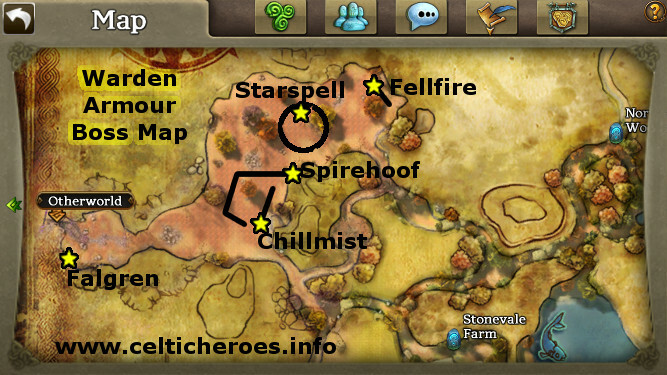 Chillmist is the second boss in the Evil in Stonevale quest chain. Chillmist is the second boss in the Warden Armour Quest line. Location: Right of West entrance to the Bloodgrove in Stonevale. Magic Barrier - Barrier that negates damage for 60 seconds, and draws damage from energy and not health. Chillmist puts up his Magic Barrier at about 90% health. This means that the boss will take no damage for 60 econds. There is no way to remove it, so you need to tank this boss for 60 seconds and wait for it to expire. Use Taunt to hold aggro. Once the barrier is gone, nuke him until he's dead.